If you look at the image above you could think that it’s photoshopped image. But it’s not. 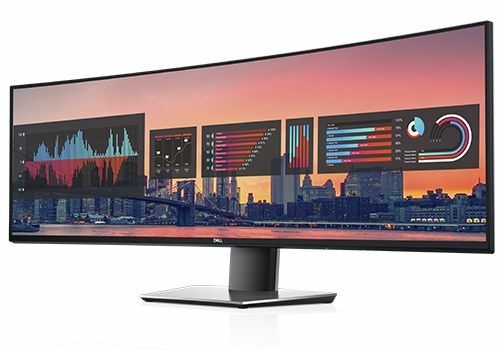 It’s just a monitor that will make you think seriously if you need a larger office at home. It’s time to say goodbye to your secondary monitors that you use on your PC. That’s because Dell introduced a 49-inch colossal display with a design which will make any TV in the house look dwarfed. There are a lot of big monitors on the market, but what makes the UltraSharp U4919DW stand out is the QHD resolution of 5120×1440 pixels. The price is far from cheap. If you want to buy this display, you will have to spare between $1400 – $1600, depending on the offer. 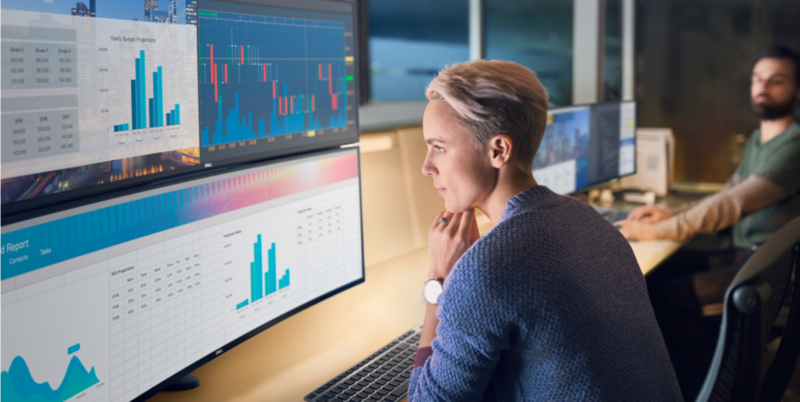 It is large enough to be broken into two spectacular 27-inch displays on a 16:9 format. Don’t get the story twisted. We’re not talking about a great gaming or creativity display. UltraSharp U4919DW has no HDR, and it has a 60Hz refresh rate. It’s just a useful display for business, especially for those who work in the financial area, and they have to deal with many information each second.